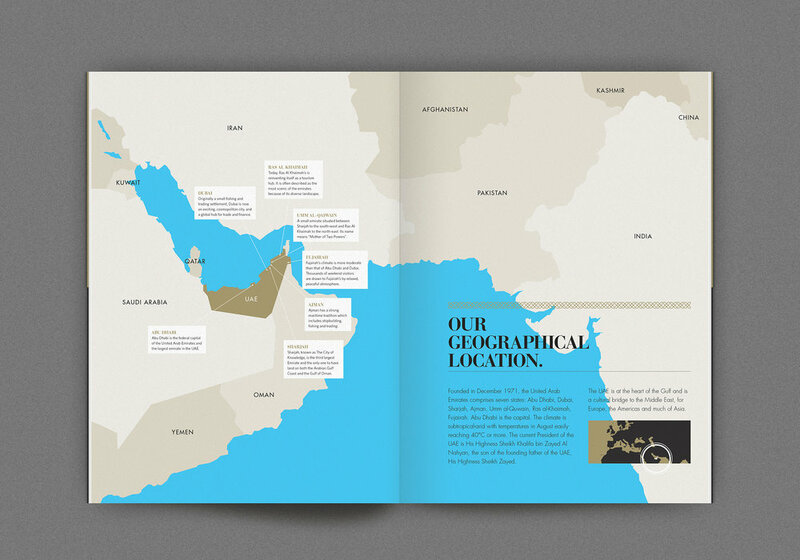 The UAE Embassy in London commissioned this sixty-page luxury brochure to encourage British businesses and individuals to explore the rapidly-developing country. Considered one of the more liberal countries in the Gulf, this brochure embodies the President and ruling Sheikhs’ ambitions for the country and its desire to retain their ongoing friendship with the UK. 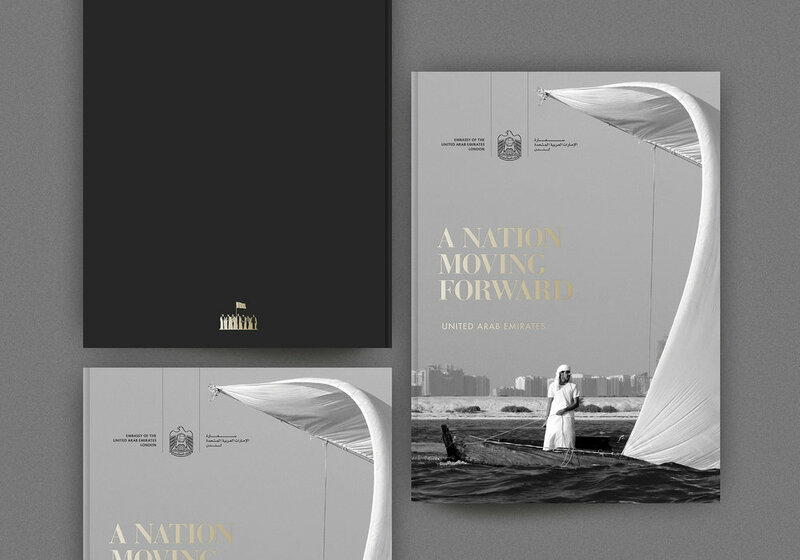 Working with lengthy copy and the UAE’s image library; layout, pace and produce a brochure that channels the Emirates’ culture and its aspirations for the future. Design a brochure with the rhythm and visual appeal to lure readers into delving deeper and understanding the potential that comes with doing business in the UAE. Hierarchy and style set, I laid out the entire brochure and collaborated with the printer to achieve a luxury finish using a gold Pantone and a variety of high-end paper stocks and tip-ins.